The past year has been all about millennial pink, so it’s no surprise that lots of companies are cashing in on the blush-toned trend. We’ve ridden the rosé wave from the bubbly version to the ever-popular “frosé”—the icy counterpart to the original—and finally arrived at rosé cider. It was really only a matter of time. In order to best service you, our readers, we took one for the team and taste-tested eight rosé ciders that are currently on the market. Read on for all the details on what’s sure to be this summer’s trendiest drink. This cider was definitely the most polarizing of the bunch. Its big flavor was rather forward and bold. It reminded us of an old chardonnay aged in a stainless tank (the way this cider is aged!). Unlike most of the ciders we tasted, the Aerlie Red was a single-varietal, meaning it’s made from only one type of apple. Most of the others contained a blend of apples, and sometimes other fruit, like pear or blueberry. Packaging: These bottles are sleek, and look like a wine bottle. According to the brand, this cider’s pink hue comes from a red-flesh apple sourced in France, aptly named the Amour Rouge. It’s described as having “a floral aroma,” with an “apple forward taste.” There’s no mistaking the apple flavor, and it finishes with “light tannins, similar to a semi-dry wine.” This is a drink we can picture ourselves sipping from a bottle or chilled over ice while relaxing by the pool. 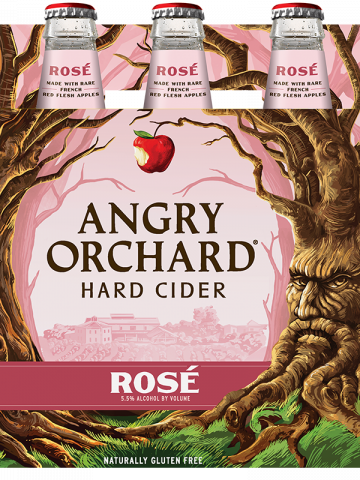 Packaging: While the packaging is not super inventive, it aligns with the rest of the brand, so there’s no doubt you’re drinking an Angry Orchard product. 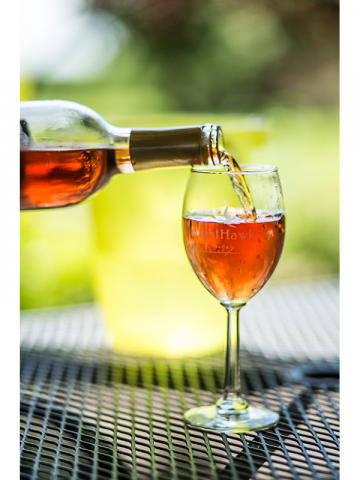 Unlike any of the other roses we tasted, this rosé cider gets it color and flavor from co-fermenting sweet cider and blueberries, which give it a slightly sweet flavor, reminiscent of a blueberry beer. It also has a little bit of a sharp/tart aftertaste, which some of us appreciated. 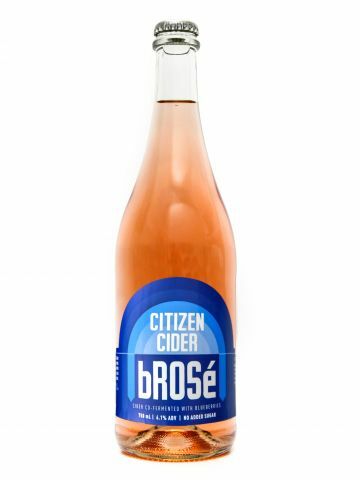 The Citizen Cider bRosé is best enjoyed straight out of the fridge, and if you like fruity beers, this is the cider for you. 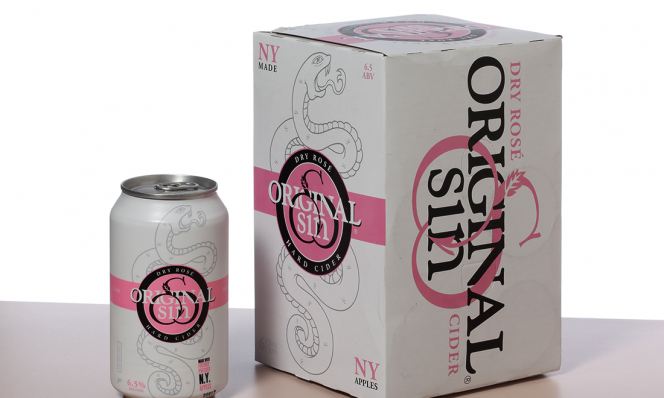 Packaging: We love the contrasting colors—blue label, pink cider—and bold typeface. We thought this rosé cider was “a little sweet, but not too much” compared to the others we tasted. 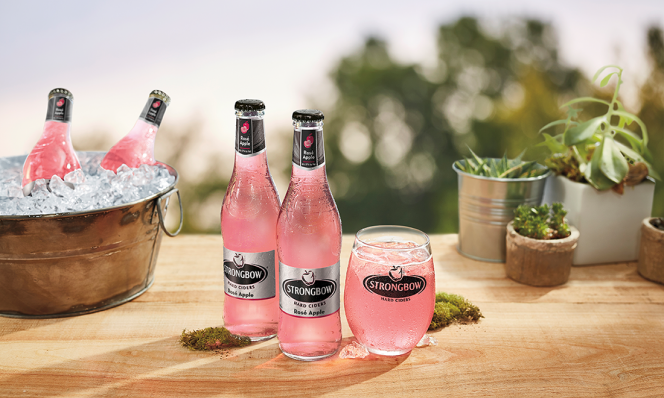 It’s made with a blend of apple and pear, and gets its some of its carnation pink hue from hibiscus. We thought it tasted a bit florally, with a “hint of cinnamon,” which made one tester want to keep drinking. This cider was pleasant and easy to drink, and the bottles would make a super pretty addition to your next girls’-night-in soiree. 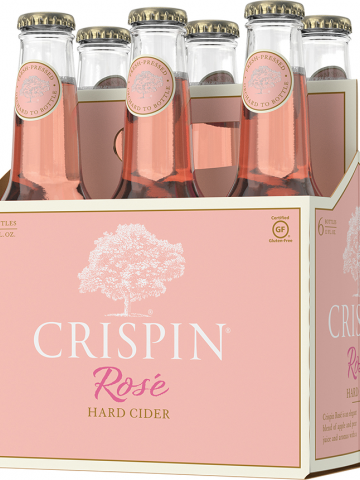 Packaging: These bottles are soft and pretty, they almost look more like a rose-scented perfume than a hard cider. This rosé cider seems to play in a different field than the others we tasted. It’s labeled “dry,” and we certainly agree. It was also the lightest in color and flavor, inspiring one of our tasters to compare it to a light beer. Another really liked the amount of fizz. This cider also wasn’t too sweet, which one of our tasters liked. 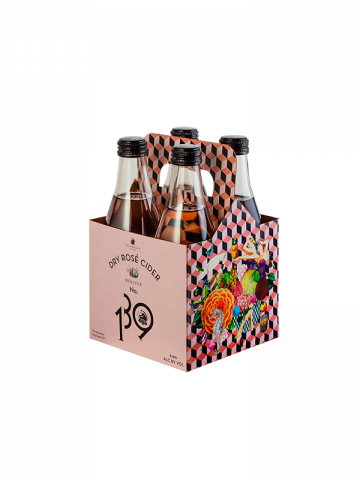 We think this rosé would make a great hostess gift—the packaging is aesthetically pleasing and they can be enjoyed by cider lovers and non-cider lovers alike. Packaging: Very sleek and modern with a matte finish. 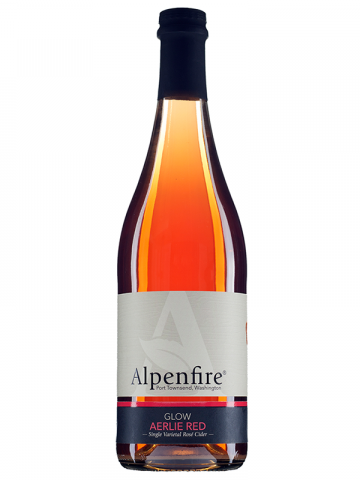 This cider gets its color from aging with grape skins sourced in Vermont, which are meant to “impart flavor, color, and tannin.” While it has a unique flavor, the color is more orange than pink. We’re not holding that against Shacksbury though, because it’s still a cider, and the color isn’t artificially sourced (can we get an amen for lack of food dyes?). Lots of ciders are very sweet and fruit-forward, but this one has a more savory quality we couldn’t totally pinpoint, and separated the tasters into two camps. Packaging: The design of this can screams Miami beach vacation, even though it’s made in Vermont. Trendy pinks and fun typography on the can make it immediately more enticing to crack open. 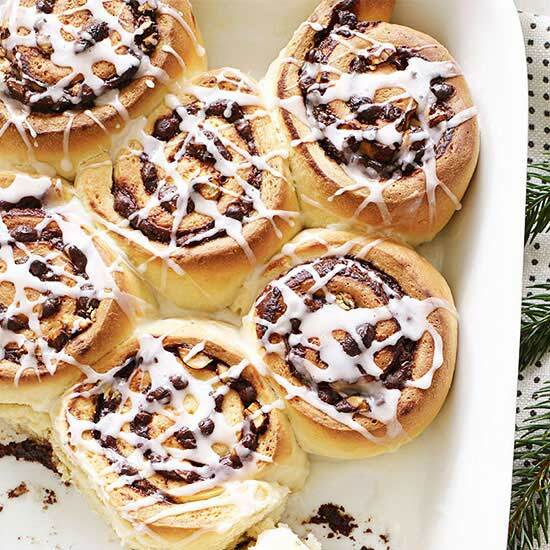 Do not let the packaging deceive you—this was an all-around fan favorite of the group. Bonus points: Its pink hue is derived from those elusive red-fleshed apples. Rock on, natural coloring! The brand describes the cider as “semi-dry” and it also has a hint of pear. This is a beach-read of a beverage, so easy to sip and sure to be a crowd pleaser at a summer party. One of our food editors said it best: “it would be my go-to cider, just like Blue Moon is my go-to beer,” and to that we all nodded our heads in agreement. Packaging: This cider has a very minimalist look to it. Let’s start with the background: Wölffer Estate is a well-known (and pretty fancy) winery in the Hamptons, probably best-known for their Summer in a Bottle white wine. 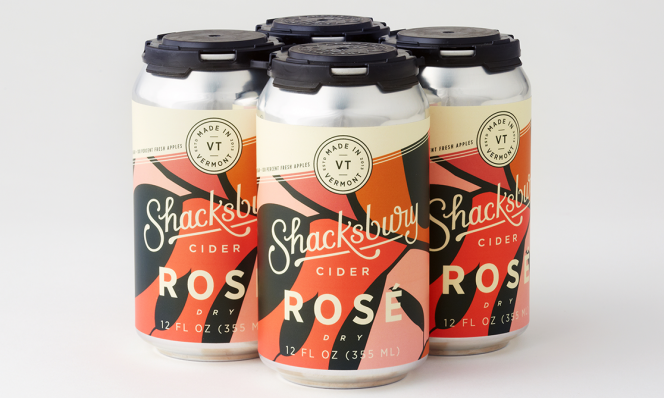 Their whole shtick revolves around wines that “evoke the style, sophistication and spirit of summer in the Hamptons.” That, coupled with the gorgeous packaging, set a high expectation for this rosé cider. It did not disappoint. This is the champagne of ciders, and not just because of its superior quality. It reminded us all of a prosecco, because it’s pleasantly bubbly and has a dry finish. Packaging: This packaging is stunning. Empty it out and you’re left with the artsiest little bud vase.